Updated Wednesday April 10, 2019 by Franklin Little League. Note that the Little League International rules apply, with the exception of the following. These rules and guidelines will be in place for all FLL Minors regular-season games and the end-of-the season Minors tournament held at Franklin Little League. a) 5:00 pm - 5:15 pm - Visitor team can use the infield –teams should be respectful of the lines during this time. b) 5:15 pm - 5:30 pm – Home team can use the infield since they can then keep their gloves with them and catcher will keep his gear on/pitcher can warm-up so they are ready at the start of the game. “Home Starting Pitcher” warm-ups should happen before 5:30pm with the first pitch of the game as close to 5:30 pm as possible. 2. Games last 6 innings or 1 hour 45 min, whichever comes first. A new inning shall not begin after 1 hour and 30 minutes of game time has expired. A game stops mid-inning if the 2-hour time limit is reached and then the score will revert back to the last full inning completed. Four innings is considered a complete game in the event of time limit or inclement weather. 3. 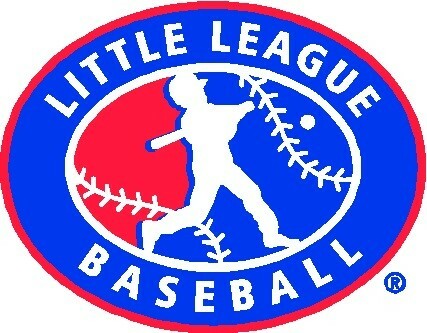 Franklin Little League utilizes a continuous batting order. Managers will exchange line-up cards at home plate prior to the start of the game. Any player arriving late may be added to the roster but must be added to the bottom of the batting order. The Manager must also notify the other Manager and plate umpire of the update prior to the player batting. 4. A half inning ends when: Three outs are made, five runs are scored or the offensive team has batted through the order once. 5. A courtesy runner is allowed for a player playing the position of catcher in the next half-inning. The courtesy runner will be the last team member who was out. If a manager opts not to do this they must be able to prepare the catcher with the 1 minute between innings guideline. This is to avoid unnecessary game delays. 6. On-deck batters are not allowed on field at any time, during the game, except for the first batter to start the top or bottom half of an inning. 7. Batters may not square to bunt and then take a full swing. A batter that fakes a bunt and then swings will be called out. The ball is immediately dead and runners return to the base occupied at the time of the pitch. 8. No player shall throw a bat or helmet. If so, the ball will be ruled immediately dead and the batter will be called out by the umpire. Any runners will be returned to the bases occupied at the time of the pitch. 9. If a ball rolls under or is stuck underneath the outfield fence it will be ruled a ground-rule double. Balls that roll past or bounce over the outfield fence will also be ruled a ground-rule double. 10. There is NO “must-slide rule” in Little League. By rule, a runner is out if he or she doesn’t slide OR attempt to get around a fielder that has the ball and is waiting to make the tag. 11. A runner is automatically out when he or she slides head first while advancing. Runners can slide head first only in returning to a base already attained. This will be strictly enforced for safety. 12. Nine players are required to play a game from start to finish. A total of ten players will be allowed on the field providing both teams can equally field ten players the entire game. This should be determined at the Managers meeting before the start of the game. Notification should be made to the home plate umpire. If a team doesn’t have nine players, a "scrimmage game" can be held with players from the other team filling that team’s roster. If this happens both Managers must inform the Minors VP. A default score of 0-6 will be officially entered. *The beginning of the season exhibition game does not count in seeding for the Minors end of the season tournament. 13. Walks are allowed, including when a run will score as a result. 14. Obstruction is the act of a fielder who, while not making a play on the ball or in possession of the ball, impedes the progress of any runner. A fake tag is considered obstruction. 15. A pitcher may only pitch 2 consecutive innings per game or 70 pitches, whichever comes first. 16. If a pitcher throws 41 or more pitches they cannot play the position of catcher for the remainder of the day. - If a player pitches 66 or more pitches in a day, four (4) calendar days of rest must be observed. - If a player pitches 51 - 65 pitches in a day, three (3) calendar days of rest must be observed. - If a player pitches 36 - 50 pitches in a day, two (2) calendar days of rest must be observed. - If a player pitches 21 - 35 pitches in a day, one (1) calendar days of rest must be observed. - If a player pitches 1-20 pitches in a day, no (0) calendar day of rest is required. 18. Stealing bases(including home) is allowed once the pitch has reached the batter. Only one base can be stole at a time. If the catcher makes a poor throw in an attempt to get the runner out, the runner must stay with the one base taken. 19. Leading off is NOT allowed. Players cannot leave the base until the pitch reaches the batter or the ball is hit by the batter. If a runner leaves early, the runner is sent back to base he/she was on. If the runner is thrown out, the out stands. 20. Injury to player on field will stop play after the play is called “dead” by an umpire and time is called. 21. All players must be rotated in and out of the games as equally as possible. Minors is a semi competitive league in preparation for the Majors Division. a) No player shall play any position for more than 2 innings per game. b) All players must be rotated both infield and outfield each game. c) No player should sit more than one inning. d) Batting order should change from game to game. All players should get a chance to be lead-off hitter if possible. 22. Outfield player positions are to start each play on the grass at least 5 steps from the infield. At no time shall an outfield player start a play on the infield “dirt”. 23. All managers are to have their players “tuck in” their jerseys and wear the team’s baseball cap on their head when playing the field. 24. All players should wear athletic protection for all games. No player will be allowed to play the catcher position without athletic protection. 25. Batting helmets in Minors need to have an approved NOCSAE label. 26. At the end of the game, the “home team” manager shall confirm with the “visiting team” manager and agree to the final score of the game. The “home team” manager shall input the score into the MINORS notebook located in the concession stand and add the score in the league administration system, Sports Illustrated Play. 27. Any game protest for any reason must be reported to the Minors VP as soon as possible but no later than 24 hours. Protests after 24 hours will not be considered. 28. After the game please promptly clean up your dugout and ensure the field is available for the next team to use on time. 29. If you are the last game of the evening, coaches should re-tarp the field with the tarp and stakes provided in the dugouts. Raking of the field may also be needed. 30. The Minors Division plays for seeds for the Minors end of the season tournament the last week in June. All teams will placed based on their seed and are guaranteed at least one game. a) Before the season begins Managers are allowed to have two practices per week. Managers will determine practices. b) Once the season begins Managers may have one but no more than two practices a week depending on the game schedule. Managers determine practices. c) Managers are ultimately responsible for their coaches, players and parent’s actions during games. It is strongly encouraged to have a team meeting, with the parents present, to review team rules and policies. The FLL Code of Conduct is also available on the Franklin Little League website and must be adhered to. d) Only Managers may approach the umpire and only if it is necessary. NO party is allowed to argue or ridicule the umpire for ANY reason. Doing so will result in ejection from the game. e) Managers are responsible for Opening Day, picture day attendance and general team communication throughout the season. f) Managers are expected to become familiar with, and follow the field and facility use instructions document located on the Franklin Little League website. g) Managers are responsible to check and enforce the bat standards prior to any player stepping on the field. h) Managers and coaches are expected to instill and promote good sportsmanship on and off the field.